Indian army’s official website has published the cutoff marks for SSC tech 53 men and SSC tech 24 women course. 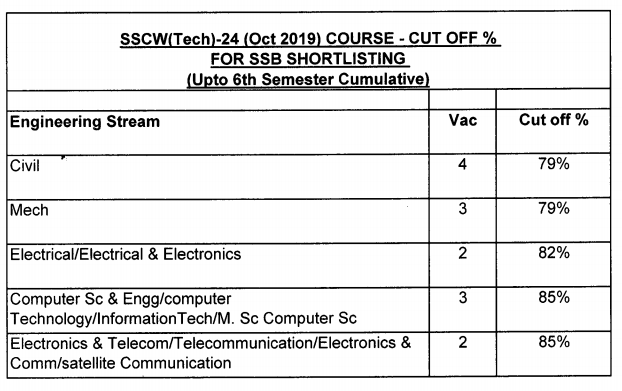 Based on the cut off marks, candidates are shortlisted for the SSB interview for the SSC tech 53 and SSC tech 24 courses which are going to commence in October 2019 at OTA Chennai. Candidates who have applied for the Indian army SSC tech entry can check the SSC Tech 53 and SSCW Tech 24 Cut Off Marks and find their name in the list of shortlisted candidates. Candidates are advised to select their SSB interview dates for SSC tech 53 and 24 by visiting join Indian army website. Below you can find the official cut off marks based on which candidates are shortlisted for the SSB Interview. 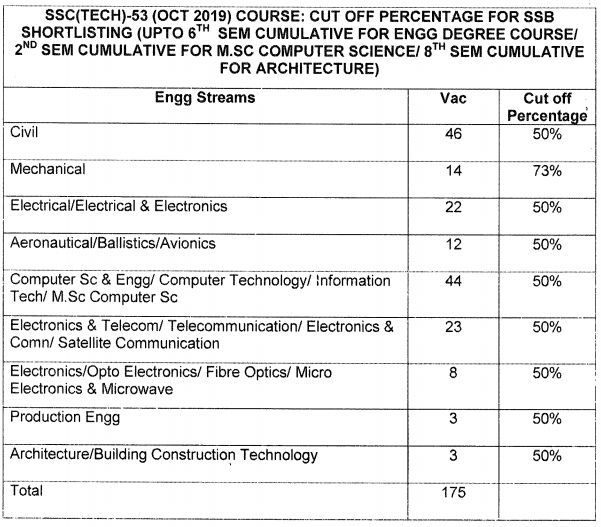 Highest cut off marks 70% Mechanical Engineering. 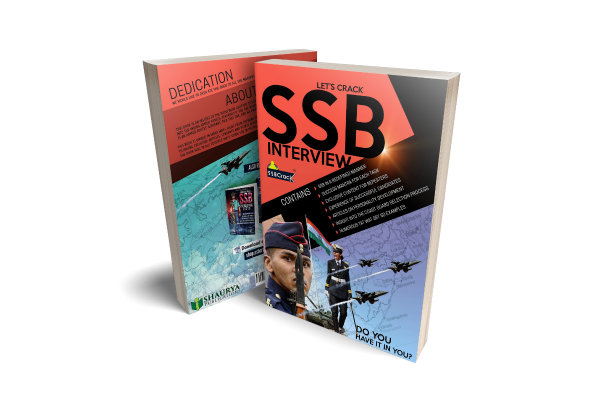 If you are shortlisted then you are required to select the SSB interview date on join indian army website. Candidates studying in final year of engineering must complete all the formalities including written, practicals, projects, backlogs, viva voce, etc, for the award of qualifying BE/B.Tech degree before 01 October 2019 failing which their candidature is liable to be cancelled.